We’re committed to our work and being a nonprofit organization, part of that work is wise stewardship and financial accountability to you, our supporters. 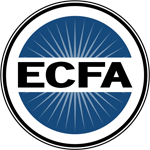 We are proud to be accredited by the Evangelical Council for Financial Accountability and rated a Guidestar Gold nonprofit organization. In 2016 we shared that 91¢ of every dollar went directly to our programs on the ground. Today, we’re excited to share that we dedicated 91.8¢ of every dollar to our programs on the ground. One of the ways that we were able to increase the percentage of money going out the door was by lowering our internal costs. We strive to keep our internal costs minimal so we can keep raising the bar and serve our students and leaders better. We’re looking forward to an awesome 2018!